The development team of Gnome Boxes just released the fifth unstable version of upcoming GNOME Boxes 3.10 application,This Gnome utility allows users to manage remote systems or virtual systems. 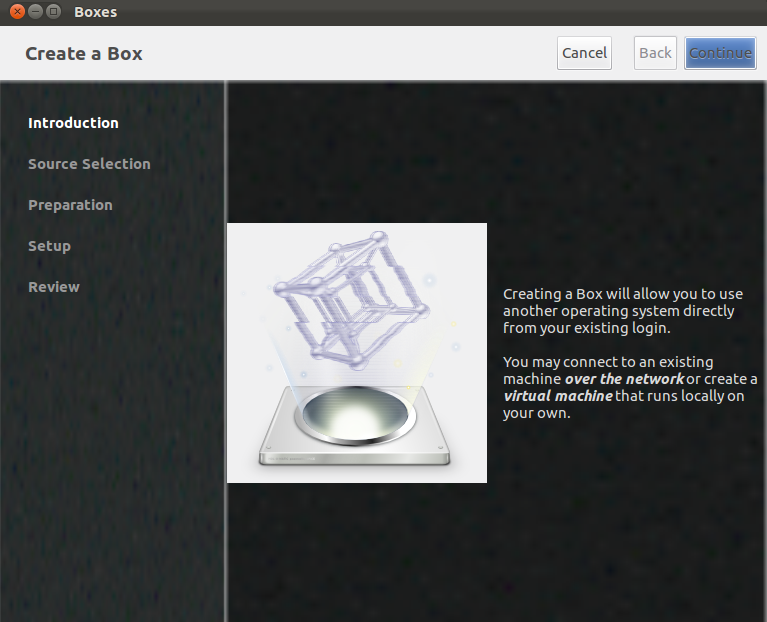 Please note that GNOME Boxes 3.9.5 is a development version and it should NOT be installed on production machines. It is purely intended for testing purposes only. We are not responsible if anything went wrong. GNOME Boxes 3.9.5 release got lot of fixes and improvements compared to the previous release such as it will not show spinner on live boxes. Fixed properties to display animation against Clutter 1.16,Coming with More noticeable warning on VT unavailability,Got Correct button arrows for RTL locales and importantly Added/updated/fixed translations in Czech, Galician ,Spanish, Tamil and Norwegian languages. Some of the other noticeable changes include support to RFKill for Linux operating systems, no more password prompt option found for Google calendars, redesign for Universal Access panel in System Settings. How To Install Google Chrome On Ubuntu 11.10 ?